Want to Watch a Video on this Topic Instead? A video-based version of this tutorial is available at https://academy.dreamfactory.com. Or just click on the video below! For the purposes of this tutorial I’ll assume you’re already familiar with DreamFactory fundamentals, including how to generate database-backed REST APIs. If you’d like to follow along in your own environment, you’ll need to configure two database APIs within your DreamFactory instance. * Always Fetch: This field enables the virtual relationship. 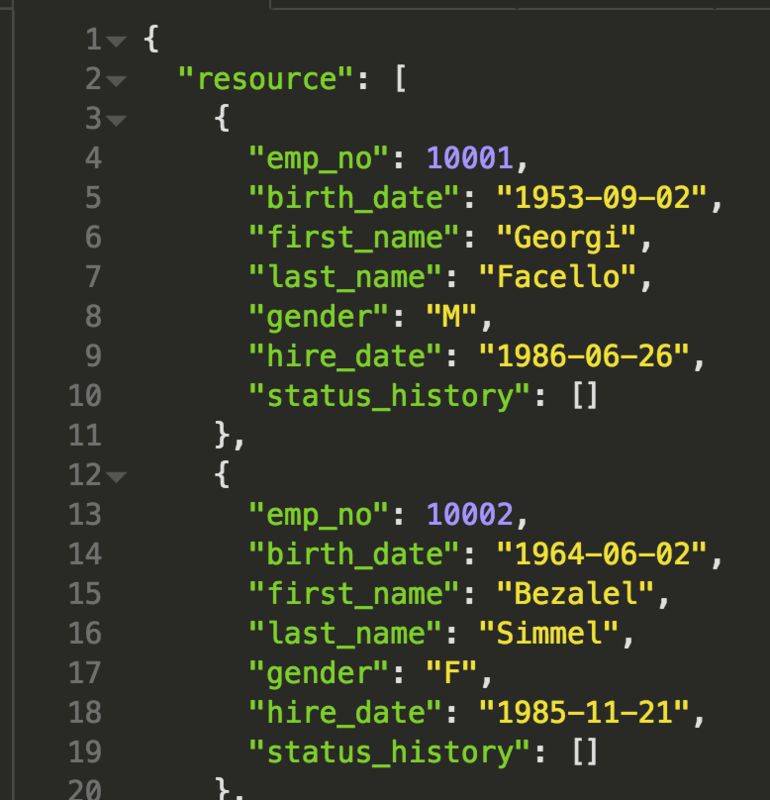 You can also optionally enable the relationship on demand via the API. Type: This field determines the relationship type. You can choose from Belongs To, Has One, Has Many, and Many to Many. Reference Service: This field identifies the related service. It’s set to DB2 because the relationship pertains to the previously configured IBM DB2 API. Reference Table: This field identifies the related table. 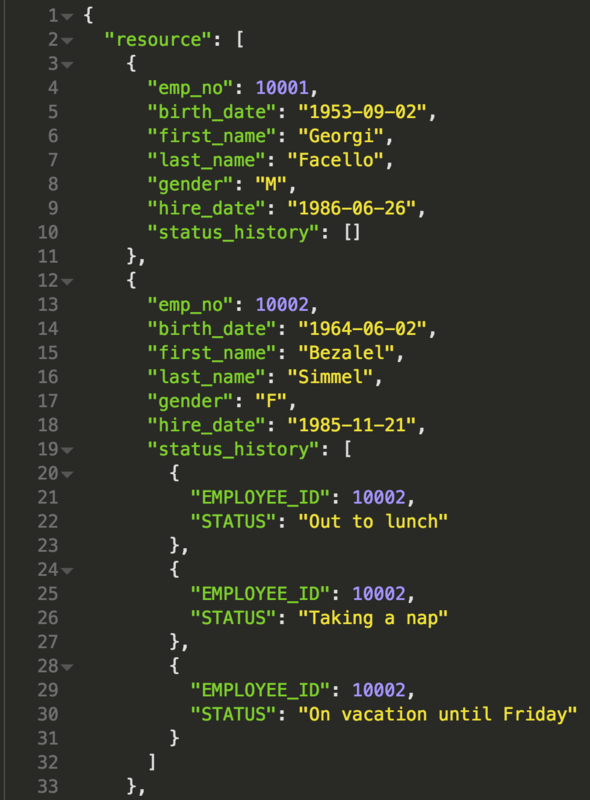 Recall we selected the MySQL service’s employees table, so we’re going to relate the employees table to the DB2 service’s employee_status table. Reference Field: This field identifies the foreign key field found in the related employee_status table. After defining these fields, save the changes and you’re ready to begin using the new relationship! 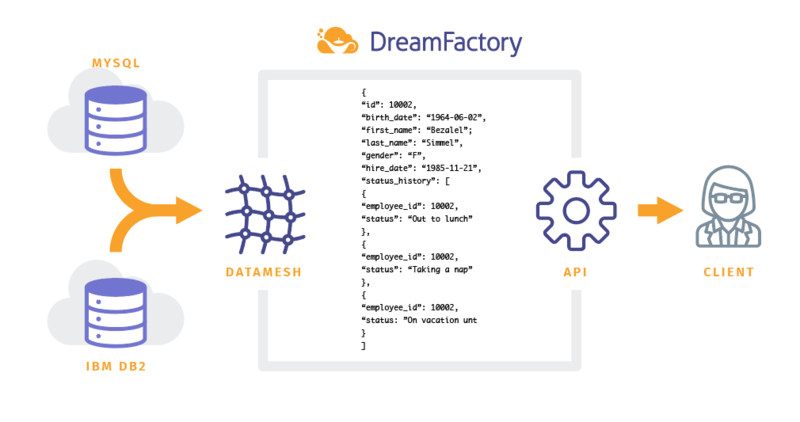 DreamFactory’s Data Mesh feature offers an incredibly straightforward, point-and-click solution for creating sophisticated and transparent unified queries. You’re certainly not limited to meshing two databases together; try meshing two, three, or more databases together and marvel over the time and aggravation savings!